Lovers have consulted the tome of philosophical wisdom known as the Kamasutra for centuries to learn of the ways in which the pleasures of the sensual world may be applied to one’s life in various situations. Love and desire are the supreme expressions of human connection and as all journey to the realization of the higher self we can find much to absorb in these instructions. 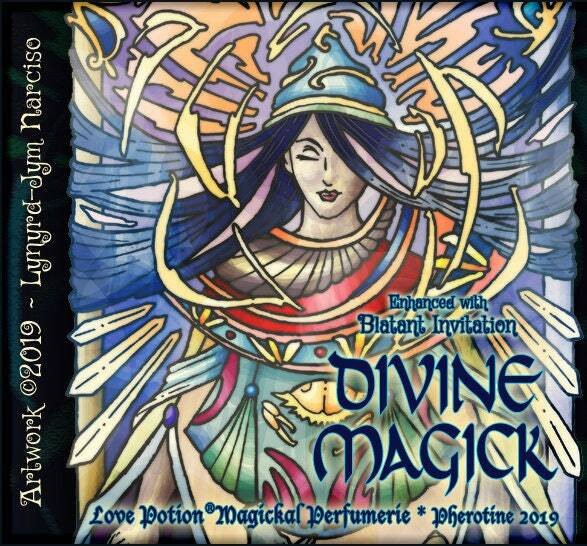 We’ve crafted an ode to this sacred text...the eternal allure of Woman is a divine magick all its’ own and we invite you to enter the feminine mystery with another of our interpretations of the ancient artform of majmua - an intensely fragrant blend of wood, floral, resinous and musky notes which together create an exquisitely exotic perfume. Allow those you desire to become enthralled by this incensual fusion of Indian majmua, Egyptian musk, oud attar and an Arabian wood blend, deep resinous aspects of amber EO and patchouli adorning a base of rich smooth sandalwood. This is a perfect partner for our exclusive BLATANT ATTRACTION pheromone formula: sexually assertive, but cuddly too - it whispers "yes" and gives off a vibe of uninhibited sexuality but is eminently approachable at the same time. Scent: Deeply sensual and exotic attars and resins. This scent needs to be tried on the skin. Majmua tends to smell slightly vinegar-ish in the bottle, but after a few minutes on the skin, morphs into a heady sensuous dream.